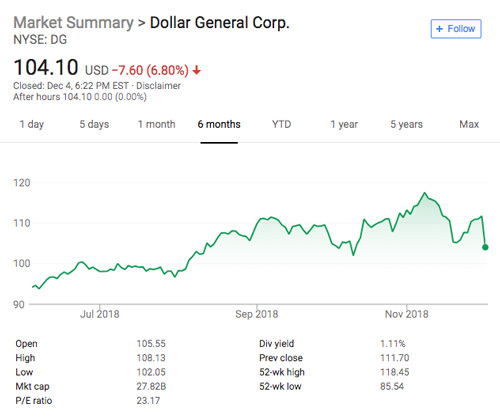 GOODLETTSVILLE, TN - Dollar General is betting the farm, so to speak, on fresh produce for 2019. In discussions regarding its Q3 2018 fiscal report, the retailer revealed that bringing fruits and vegetables to underserved communities will be a major part of its expansion strategy moving forward. About 200 existing stores will receive fresh produce-focused remodels and even more of its planned 975 new locations will likely be built to hold fruits and veg as well. “We intentionally develop these additional formats to be able to move into certain demographics across the U.S. where a one-size-fits-all mentality is really not the way to be productive and to make the most of your real estate portfolio,” Dollar General Chief Executive Todd Vasos said during a conference call with analysts Tuesday, according to a report by the Wall Street Journal. Vasos noted that the company plans to experiment with various setups, including those focused on our humble industry's goods, as part of a new expansion and will focus on a wide variety of customers’ needs. According to WSJ, the retailer’s full expansion will include 975 new stores, 1,000 stores remodels, and plans to relocate 100 stores. Dollar General noted about 200 of these remodeled stores will house fresh produce, bringing its total fruit and veg-focused stores to upward of 600. Vasos said the company can “drive a tremendous amount of traffic” through new stores that offer produce and other fresh products in food deserts where access to healthy and affordable food options is more scarce. As Dollar General continues to expand its focus on fresh produce, AndNowUKnow will be on the front lines to bring you the latest.